Through 5/26, CVS is currently offering Schick Disposable Razors for regular price of $10.49 and Buy One Get One 50% off. 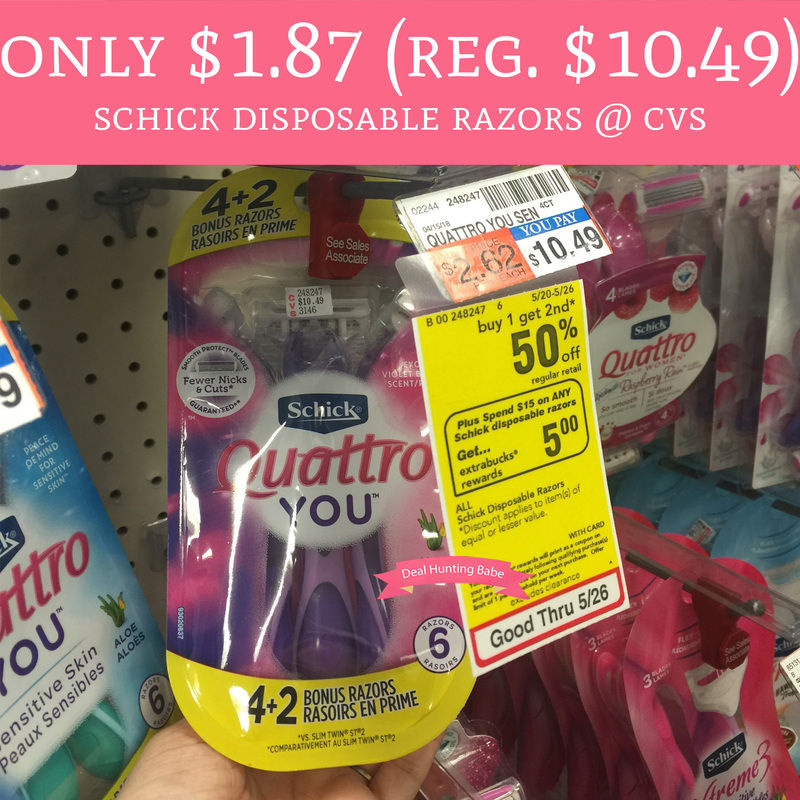 Plus, when you spend $15 you will receive $5 Extra Care Bucks and we have a new $7/2 Schick Disposable Razor printable coupon making each pack just $1.87! Final price $3.73 or $1.87 each! !